With over 21,000 seats it will become Poland's largest stadium project for upcoming years. The new home of Ekstraklasa's Pogoń Szczecin should be ready in just over 3 years. What should be a 2-month-lond tender will soon enter its 8th month. That's the result of huge disparity between expectations and reality. We already wrote just how big the gap was: public estimated price of PLN 285 million, contractor estimates of between 388 and 549 million. This caused the tender to be cancelled and relaunched. Despite cost-cutting efforts it still delivered a hardly improved outcome with 364.4 million (€85m) as the only offer, from joint venture between Doraco and PBG. This in turn forced the city hall to ask the city council to increase approved spending from 285m to 264m. A not insignificant 79 million difference. The decision was strongly supported by council members on January 22, then on Jan 28 the city has informed terms were agreed with the contractors. While the deal is not signed yet for formal reasons, that step should follow within the next couple of weeks. Once signatures are on the paper, 3 year countdown will begin. 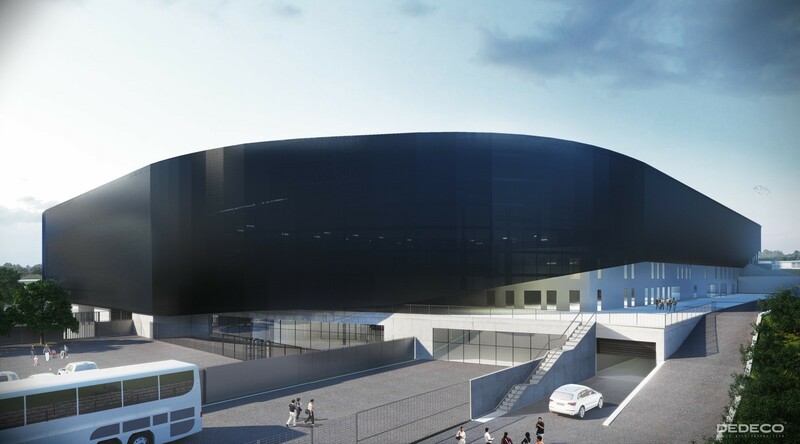 Over that period Doraco + PBG are to complete the design work and carry out all construction of the 21,000-seat stadium with extensive training academy around. 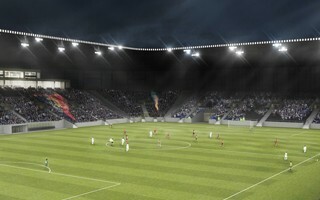 Ideally, the project should be delivered in a manner that would see Pogoń Szczecin use the stadium throughout construction. However, in order to push the price slightly lower, the city hall has agreed for the contractors to temporarily adjust one of the side pitches to meet Ekstraklasa regulations, including 4,500 temporary seats.